Martha writes to Mrs. Goodrich with her appreciation for the bequest from her husband's estate. 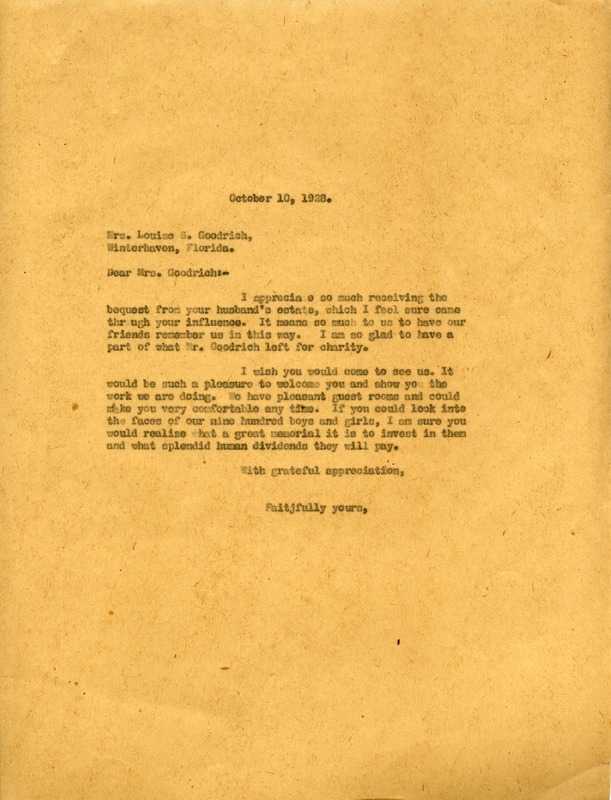 Miss Martha Berry, “Letter to Louise Goodrich from Martha Berry.” Martha Berry Digital Archive. Eds. Schlitz, Stephanie A., Aaron Jackson, et al. Mount Berry: Berry College, 2012. accessed April 22, 2019, https://mbda.berry.edu/items/show/7615.